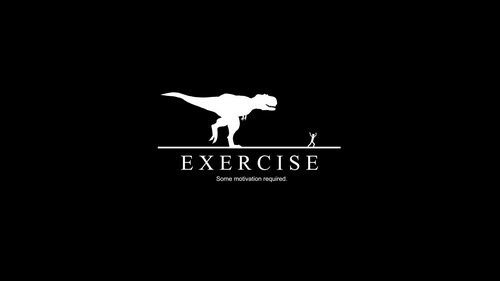 Motivational Wallpaper. . HD Wallpaper and background images in the Dinosaurs club tagged: photo dinosaurs dinosaur t-rex tyrannosaurus rex funny lol exercise health motivation. This Dinosaurs wallpaper might contain sign, poster, text, and chalkboard.